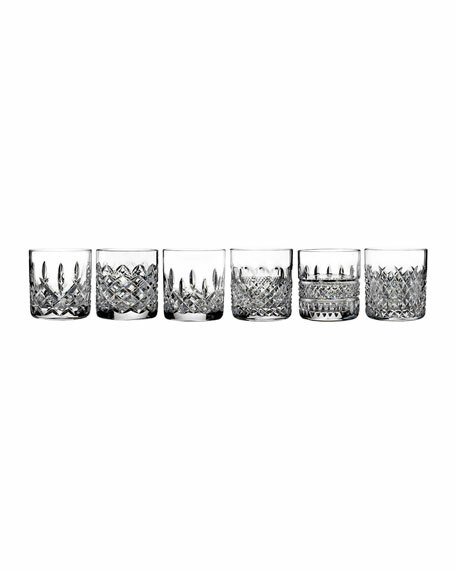 Tumblers made of lead crystal. Set includes one of each of the following patterns: Lismore, Colleen, Alana, Powerscourt, Aragllin, and Irish Lace. Each measures approximately 2.75"Dia. x 3.25"T and holds 7 ounces.